The pricing of the device will be critical to its acceptance in India. Fortunately, we got a sneak-peek at the exact pricing of the device. Since the device hasn't been launched officially, take the information with a grain of salt. Asus will be launching the Zenfone 5z in India today. The launch event will begin at 12:30pm. Following the Asus and Flipkart partnership, the device will be sold exclusively on the Indian e-commerce website. The Zenfone 5z is Asus' flagship which will go against OnePlus 6 and Honor 10. The pricing of the device will be critical to its acceptance in India. Fortunately, we got a sneak-peek at the exact pricing of the device. Since the device hasn't been launched officially, take the information with a grain of salt. Flipkart seemed to accidentally list the Zenfone 5z on its website with the prices. The base variant with 6GB RAM and 64GB of storage at Rs 29,999. The second variant with 8GB RAM and 128GB storage at Rs 32,999 and the top variant with 8GB RAM and 256GB storage at Rs 36,999. Earlier we were expecting the device to be priced slightly higher than the prices that were revealed in the listing. The phone was unveiled at the MWC 2018. 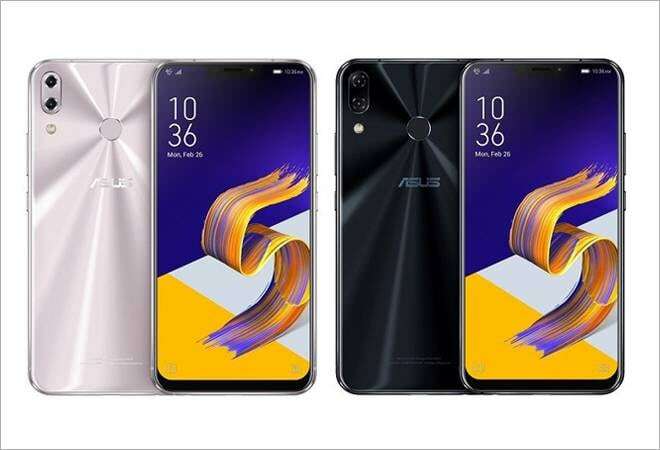 Asus Zenfone 5z comes with flagship specifications and can give OnePlus 6 a run for its money if it is launched at the same price point. The device features a Snapdragon 845 chipset assisted by Adreno 630. If Asus manages to launch the device at the above mentioned prices, it will become the cheapest smartphone running on Snapdragon 845. The device features an 6.2inch IPS LCD display with a FullHD+ display covered by Corning Gorilla Glass. The phone boasts a screen to body ratio of 83.6 per cent. Like most flagships from this year, the Asus Zenfone 5z also sports a notch to house the front camera and all the necessary sensors. The camera on the device is a dual lens setup with one 12megapixel unit and the other with an 8megapixel sensor. The camera also gets EIS for stable videos. The front camera is an 8megapixel unit which also gets gyro EIS for stable shots. The phone runs on Android 8.0 Oreo with Asus' ZenUI 5.0 on top. The device has a dual SIM slot (nano). One of the slot doubles up as a memory card slot that can hold a card of up to 400GB. The phone comes with a 3300mAh battery and comes equipped with a USB Type C port.